Food, Beer, Wine included! Cash bar. Costumes, cocktails and a good cause. Join us to celebrate one of Patty's favorites... Halloween. Monster Mash the night away on Saturday, October 29th at 8:00 at the Putnam County Golf Course. 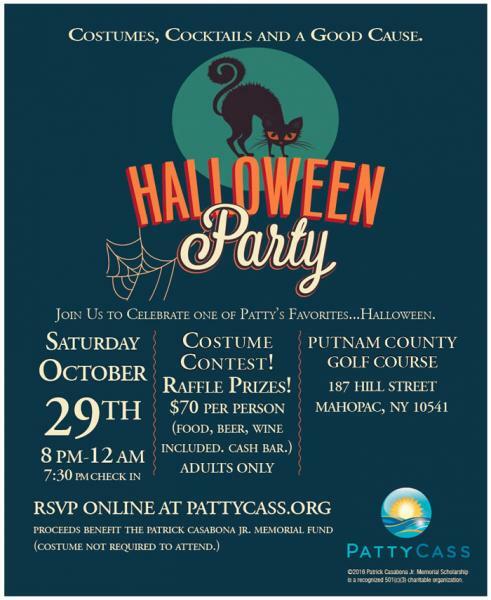 Costume contest and raffle prizes to benefit the Patrick Casabona Jr. Education Fund.